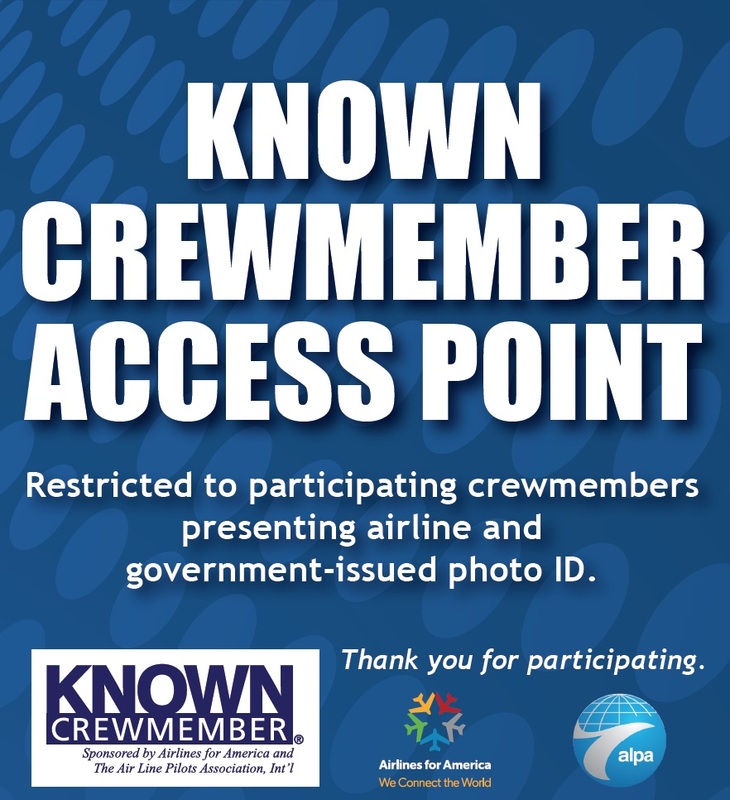 The Known Crewmember® Program is a risk-based screening system that enables the Transportation Security Administration (TSA) security officers to positively verify the identity and employment status of flight-crew members. The program expedites flight-crew member access to sterile areas of airports, reduces passenger-screening and line congestion, enhances security, and makes airport checkpoint screening more efficient for all who depend on air transportation. Please note: Crewmembers are not eligible for KCM® unless their employer is participating in the program. NO UNIFORM REQUIRED - Crew members transiting a KCM® access point do not need to be in uniform. Utilize the KCM® ID Badge to enjoy crewmember discounts at many airports, restaurants and hotels. No hassle and no stress. Avoid the regular airport security checkpoints lined with thousands of public travelers.